In November of 2013, just before Thanksgiving, Walt Disney Pictures released the film Frozen into the world, and the world responded by releasing the contents of their wallets into Disney’s bank account. The smash hit took the world by storm. Its songs could be heard playing everywhere, a merchandise shortage left parents fighting over Olaf plushes like they were the Tickle-Me-Elmos of the 1990s, and children watched the movie on repeat enough times to make their mothers and fathers suicidal. 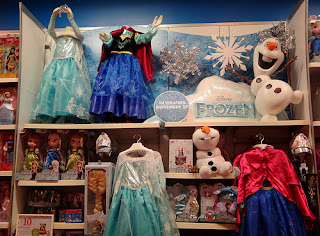 In less than eighteen months, Disney had green-lit a sequel, gotten a Broadway musical adaptation into production, and even decided to foist Norway out of their Epcot World Showcase in favor of a new Frozen-themed section. The movie became the highest-grossing animated feature of all time. So why wouldn’t Disney milk this cash cow dry? Everyone was in love with Frozen. It’s certainly true that one small step for feminism is one giant leap for Disney. And Walt Disney’s animated films have always been of particular interest to feminists, because these films are among the first movies that children watch and influence how kids experience society’s gender norms. In addition, Disney stands out due to the prevalence of its Disney Princess brand. Pixar, DreamWorks, and others rarely ever offer up a female protagonist, whereas women are leads in many Disney films; it’s just that their portrayal has often left a lot to be desired in the eyes of feminist critics. For all of these reasons, Frozen must have looked fairly appealing to feminists just on the strength of its concept. The film follows not one but two female protagonists, sisters Elsa and Anna, who are, of course, princesses. Elsa has been imbued with ice powers since birth that cause her to fearfully hide herself from the world; Anna must embark on a journey save her sister, both literally and psychologically, while learning that her previous desire to marry a man that she’s only just met might not be such a great idea. And while an act of true love does save the day, as expected in a Disney story, the love in question is not romantic but familial: Elsa’s love for her sister saves Anna’s life. If you delve no deeper than this, you can understand why Frozen was lauded as a feminist masterpiece. But as time passed and more Disney films were released (all of them stuck in the deep shadow that Frozen had cast), an interesting transformation occurred: popular opinion about the movie did a complete 180. Disney plowed ahead with their marketing strategies, but tie-in toys began to gather dust on store shelves as demand for them waned. The film did not change, but by 2015, the reception to it was downright chilly (pun intended). Why the abrupt backlash? One popular online critic, Doug Walker, under his pseudonym The Nostalgia Critic, cites overexposure as the most likely reason in his video essay “Can Hype Kill A Good Film?” Even your favorite food can lose its appeal when you’re force-fed it day after day. Similarly, famous YouTuber MatPat claims at the beginning of a Frozen-centric video that people hate it now because of its overwhelming popularity. While both of these factors are important, the backlash against Frozen was not only inevitable, but was also due to new perceptions of feminism. Yes, the plot might seem like feminist catnip, though, a thorough examination of its characters, story, and messages reveal a piece of entertainment that is anything but “empowering.” It’s good to know that the truth matters and will eventually come out. What exactly is that truth? Let’s take a look. 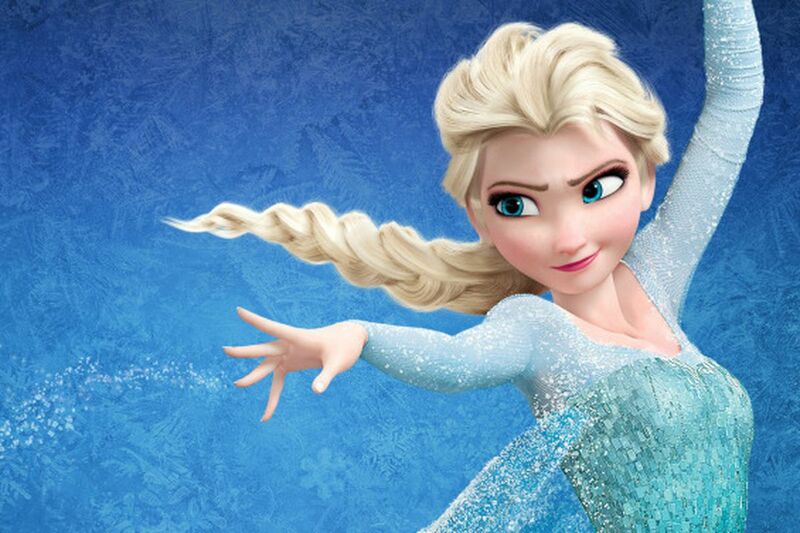 In Frozen, our protagonist isn’t actually the magically empowered, mentally tortured Elsa — it’s Anna, the ordinary princess with nothing interesting about her. To add a bit of intrigue, the writers opt to have the King and Queen lock her up in the castle, too...but why? She can’t accidentally spread the word about her sister’s powers; that’s the entire reason why the trolls wipe out her memories. She has no powers of her own that could endanger someone. Nor is her isolation justified by any kind of rigorous education about her royal responsibilities, because all she ever does is wander around the castle in a state of perpetual boredom. The fundamental difference between the Manic Pixie Dream Girl and the Pseudo-Awkward Quirky Girl is that the Manic Pixie Dream Girl is intended to be an idealized woman, a male fantasy, while the Pseudo-Awkward Quirky Girl is designed to appeal to young girls, allowing them to project themselves onto her because she’s not your typical princess — she’s just like you! Kept away from the world for her whole life, she’s clumsy, zany, energetic, and nominally “socially awkward,” but her awkwardness only extends as far as it needs to in order to make her cute and appealing. Instead of the Manic Pixie Dream Girl’s idealized romance, the Pseudo-Awkward Quirky Girl presents idealized awkwardness, as far removed from actual socialization difficulties as heart-bursting wacky love interests are from actual relationships. The trope is used by Sony Pictures for Mavis in Hotel Transylvania, by Disney for Rapunzel in Tangled, and when Frozen arrived, Disney apparently decided to continue capitalizing on Tangled’s successful formula by essentially creating Rapunzel 2.0. In effect, Anna is a blank slate, with just enough vague traits to prompt girls in the audience to identify with her as if she were a complex character. There’s nothing wrong with that — the blank slate has a long, proud history in storytelling — but in this case, it’s led to critics praising a character that doesn’t actually exist in the movie. After her unnecessarily isolated childhood, Anna’s first real decision is to marry Prince Hans, a man that she’s spent only a single day with. Nearly everything in the film proceeds to demean her for her choice, pointing out the ridiculousness of marrying a man that she’s just met. Fair enough, but then we come to her second decision: going after her sister once Elsa flees the kingdom. When she sets off, Anna is portrayed not as competent and capable, but as a bumbling fool who wanders into an icy wasteland still wearing her party dress, almost immediately loses her horse, and is constantly slipping and sliding into frozen streams that should be giving her hypothermia. The solution to her problems? Teaming up with a man, Kristoff, who’s more knowledgeable and skilled than her about everything, and whose help she’d be dead without. This pattern is repeated throughout the movie. Anna talks too loudly and gets herself and Kristoff attacked by wolves; Anna tries to climb a mountain on her own and bungles it up when she ignores Kristoff’s advice; Anna throws a snowball at a giant living snowman and she and her traveling companions are chased off of a cliff. Of course, a well-rounded character should have flaws and be forced to learn from them, but Frozen never bothers to show Anna growing or changing. She remains the same non-character from beginning to end, despite the fact that she constantly endangers everyone. Anna cannot even choose her own love interest. As discussed above, she originally decides to marry Prince Hans, but later meets Kristoff, and the audience naturally anticipates that she will have to choose between these two age-appropriate suitors. From the start, there are flaws in this love triangle’s execution; for example, the romance between Anna and Hans is portrayed as shallow despite the fact that they spend a considerable amount of time talking about their histories, families, and interests, and Kristoff (ostensibly the “correct” choice) constantly derides Anna, insulting her and even saying that he only cares whether or not she stays alive because he wants her to replace the sled that she destroyed. And the whole thing will be fixed! That’s right: they’re saying that Anna requires “fixing” because she’s not immediately romantically interested in Kristoff. It’s worth noting at this point that the trolls don’t know a thing about Anna’s fiance — for all they know, the engagement could have been made years ago — and as for “not seeing no ring”, Anna is wearing mittens. Help her find her sister! But wait, Anna’s key relationship isn’t with a man at all; it’s with her sister Elsa, so doesn’t that make the clumsy romance subplot no more than an annoying side feature? It would be, if the film didn’t expend far more time and energy on Anna and Kristoff’s bond than on Anna and Elsa’s. Anna and Kristoff interact on screen more than twice as much as Anna and Elsa do. Aside from one happy scene that the girls share as children, most of their time together consists of Anna attempting to form a connection with Elsa, and Elsa continuing to shut Anna out. Their problems — Anna’s desperate loneliness, Elsa’s self-repression and anxiety, and even the death of their parents — never rate a mention. It’s almost impossible not to focus more on the romance aspect because Frozen itself focuses more on the romance aspect. Finally, at the movie’s climax, the critically lauded “act of true love” occurs between the sisters and saves Anna’s life. Yet we have no indication that the sisters actually do love each other, besides the movie simply telling us so; it’s as if the writers assumed that siblings will automatically love each other, all of the time, just by virtue of being siblings. So the aforementioned happy ending feels shallow, especially for a story attempting to show the virtues of deep, meaningful relationships. It only contributes to the sense that Anna has learned throughout her entire journey.